First UMC Neenah-Menasha is part of a larger body called the United Methodist Church. The United Methodist Church website offers an outline of church structure, beliefs, and news. 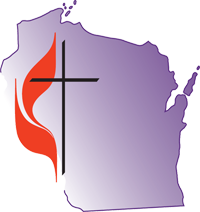 As a United Methodist congregation in Wisconsin, we are part of The Wisconsin Conference of the United Methodist Church. The Conference website defines the identity of United Methodists in Wisconsin; our mission, our ministries, and the missionaries we support abroad. The United Methodist Committe on Relief, or ﻿UMCOR﻿, is committed to alleviating human suffering around the globe. The UMCOR website has information about its current missional efforts, how to donate, and be involved. Boys & Girls Brigade of the Fox Valley- A youth organization for boys and girls ages 6-12, right next door in downtown Neenah. First Church supports the Christmas giving program at the brigade by collecting toys, clothing, and funds and through our Dora Hansen Charitable Trust helped establish a scholarship program. ESTHER is an interfaith social-justice organization that aims to bring together people of faith and communities of faith to build community and to identify and act on issues of injustice. First Church is one of their member congregations and we provide space for their offices.